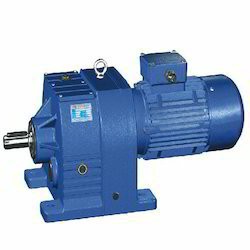 We are engaged in offering a wide range of Helical Gear Box. These are acclaimed for their consistent performance, robust design and accurate dimensions. One can avail our boxes in various models and range as per the exact demands and requirements of clients. Our devices are offered at very feasible rates. We are a coveted entity of this specified arena, engaged in manufacturing and supplying a durable assortment of Inline Geared Motors. 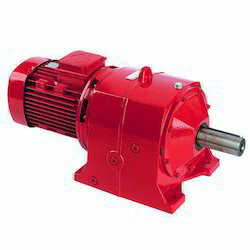 These geared motors are obtainable from us in numerous stipulations to meet the need of clientele. 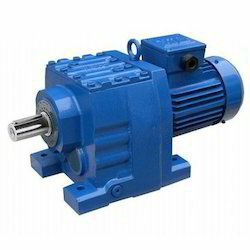 Offered geared motors are developed with outstanding quality material and current technology. 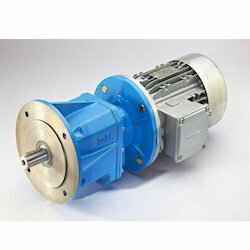 As well, patrons can avail these geared motors from us at competitive prices. We are leading manufacturers and supplier in the cities like Ariyalur, Chennai, Coimbatore,Cuddalore, Dharmapuri, Dindigul, Erode, Kancheepuram, Kanniyakumari, Nagercoil, Karur, Krishnagiri, Madurai, Nagapattinam, Namakkal, Perambalur, Pudukottai, Ramanathapuram, Salem, Sivagangai, Thanjavur, Theni, The Nilgiris, Thirunelveli, Thiruvallur, Thiruvannamalai, Thiruvarur, Thoothukudi, Tiruchirapalli, Tiruppur, Vellore, Villupuram, Virudhunagar. We are one-step ahead of our competitors in manufacturing and exporting a wide range of Inline Helical Geared Motors. 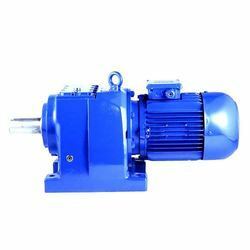 These motors are widely recommended by various numbers of clients owing to its noise free performance, compact sized and rugged construction. Energy efficient range of these devices are available with us in various dimensions and specifications as per the precise demands of clients. 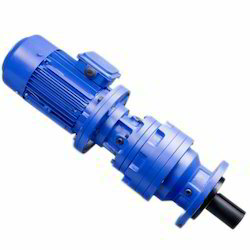 planetary gear motor and planetary gear Box - We are offering planetary geared motors with Output speed of 0.15 RPM to 410 RPM (Below 0.15 rpm can be given on request), solid Male Output Shaft, or Keyway, male or female spline shafts ,These geared motors, electric motors are built with squirrel cage induction TEFC motor of ICE Standard and have We can customize these planetary geared motors, on various parameters as per the requirements of our clients. We are involved in manufacturing and exporting a qualitative assortment of Flange Mounting Inline Helical Gear Motors. These are robustly constructed from optimum quality components and using advance technologies. Demands of our devices are increasing day by day owing to its noise free performance, optimum strength and energy efficient nature. One can avail our devices in various technical specifications. We are one of the leading manufacturer, exporter and supplier of ‘I’ and ‘S’ Series Coaxial Helical Geared Motors with 1,2,3 reduction stages. An inverter friendly design provides for easy integration now and a truly future proof solution. Inch or metric dimensioned output shafts are standard providing for easy integration into all your applications. Total flexibility in mounting options includes foot, base, face, and flange solutions. The motor terminal box can be mounted in alternative positions rotated in 90° steps around the motor frame providing for unparalleled integration possibilities. All position flexibility. The BG unit may be mounted in any required position, i.e. horizontal, vertical, or suspended easily meeting any requirement. High level of parts interchangeability for all gear motor components benefits the customer with increased options, reduced costs, faster deliveries, and a faster maintenance “learning curve”. Complying with North American and International standards, including NEMA, IEC, CSA, & CE, the BG series allows for worldwide acceptance, a true total solution for our global customers. A hardened wear sleeve and spray ring at the rotor seal allow for reduced sump capacity, reliable lubrication and many years of leak free performance. Quiet running is a trademark of all Bauer geared motors making also the BG series a provider of comfortable and healthy work environments. A minimum level of maintenance is a prime feature of the Bauer Gear Motor program. Change of lubricant is normally required only after 15,000 operating hours.